Fiddle-Dee-Dee Designs: Fuss Free: Cornered 1 & 2 and Look Ahead to Digital Scrapbooking Day 2015! Fuss Free: Cornered 1 & 2 and Look Ahead to Digital Scrapbooking Day 2015! Fuss Free: Cornered and Fuss Free: Cornered 2 templates feature photos and clusters of elements in the outer corners. Don't feel cornered, though! With these templates, you'll have plenty of space to show off your favorite photos, enhance them with just the right elements, and even tell your most fabulous stories, with room to spare! These templates are Fresh Fruit priced at 20% off for the first week of release, only at Scrap Orchard! If you buy Set 1, you'll get Set 2 for 50% off the original price! Buy together and save now through November 6, 2015! GET READY! Our Digital Scrapbooking Day 2015 Storewide Sale starts Thursday, November 5, 2015! 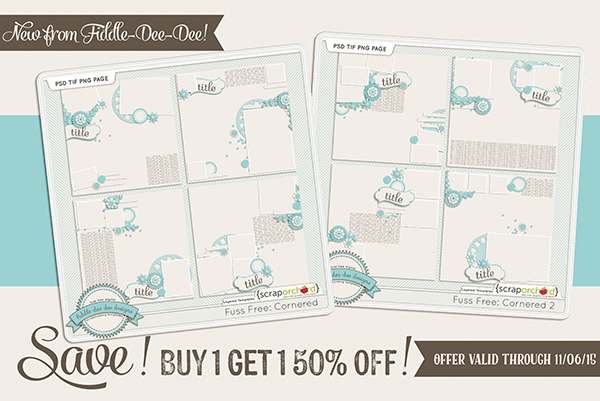 All current Fiddle-Dee-Dee Designs template packs, including new releases, will be on sale for 35% off! Spend $10 or more in the store and you'll automatically receive the collaboration kit, I Like Big Books. Spend $15 or more and you'll receive the kit and the add-on! Here's a peek at the template pack that you can collect during our DSD Celebration. Two of the templates will be available in the I Like Big Books Add-On. 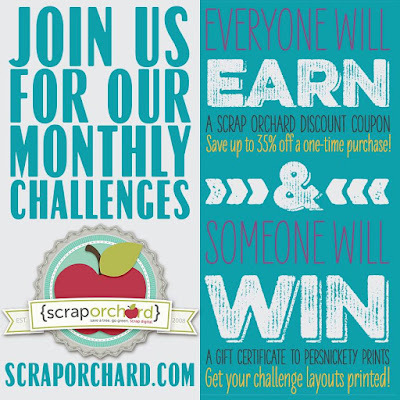 You can qualify to receive the Add-On for free with your purchase of $15 or more in the Scrap Orchard Market between November 5-9. One template will be available as a free download on my website, and the final template will be available as a free download as part of a DSD challenge, so be on the look out for them! 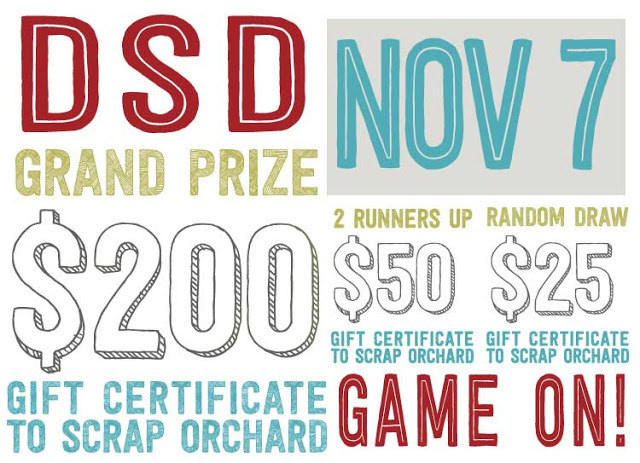 Make sure you head over to our DSD 2015 Game On Forum for all the details on the games, challenges, and more that we'll be hosting to celebrate! Please fill out your Game On Score Card to get started. You'll want to clear your schedule to ensure you don't miss anything ~ the day is packed with games, challenges and fun starting at 9:00 am Eastern!